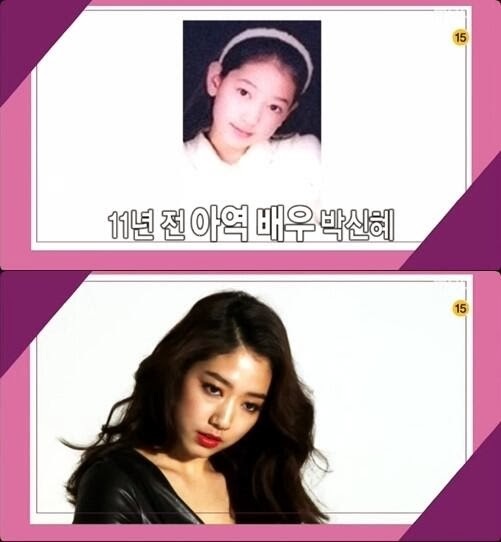 In a recent MBC 'Section TV Entertainment News' shooting, PSH got attention by mentioning "My appearance is in still incomplete phase"
Then PSH continued "I think Beauty for a woman comes out at least from her 40s", and added "I'd like to be as gorgeous(awesome, wonderful, etc) as Lee Miyoun- Jeon Doyeon-Kim Heeae sunbaenims when I get older"
Btw, PSH picked Ha Jiwon as her want-to-meet sunbae actor/actress. PSH said it's because "Ha Jiwon does well(seamlessly) her acting for both action and melo drama" and added "I really want to meet and say hello to her in person". PSH showed it actively by sending her a video letter, saying "I'd love to film an action movie with you sometime"